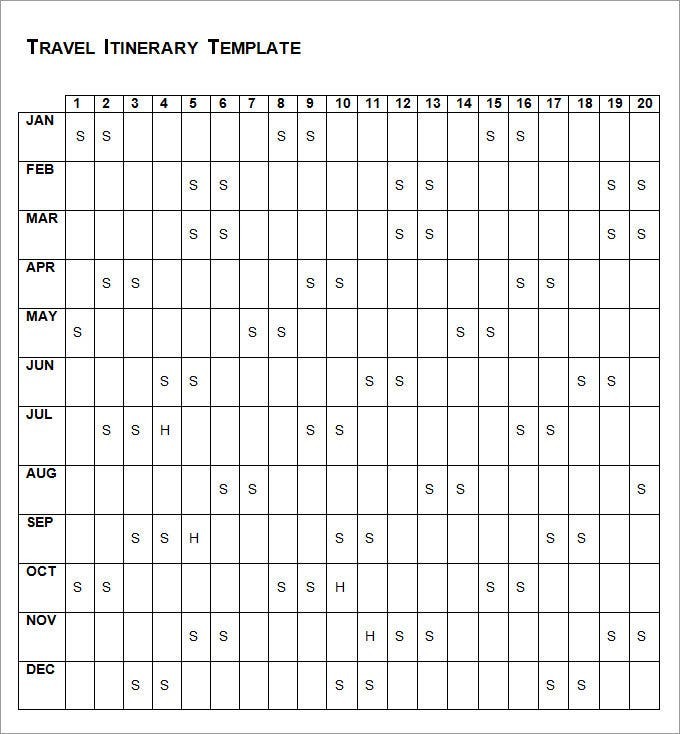 This is a simple Holiday Travel Itinerary template with basic details like Departure Date, Return Date and Estimated expenses at the the top of the sheet. The other details like the destination, Transportation details, hotel bookings etc. can be mentioned in the lower half of the template. 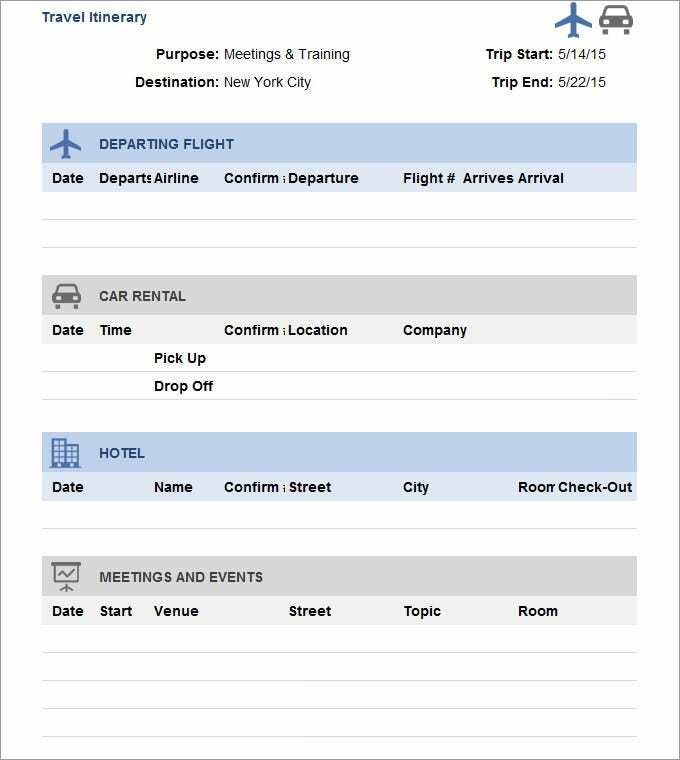 This is a one-page template in white and grey grid format with basic details like Date, Place, Hotel bookings, Items and additional comments. These can be used for family trips, Sports team tours, school excursions etc. 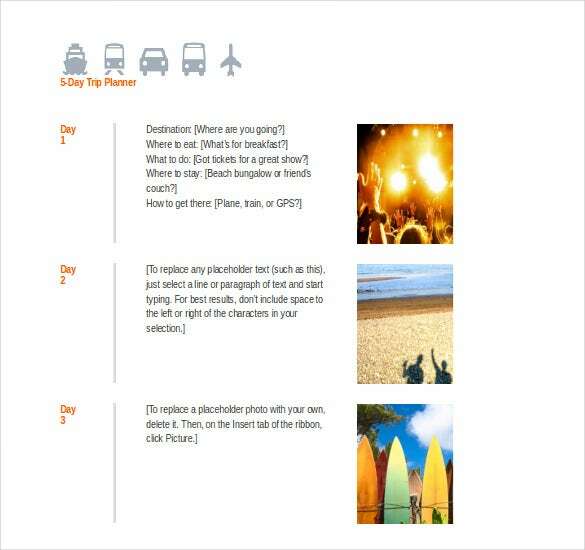 This is a more detailed Travel Itinerary template which breaks your journey into flight, road transport, hotel and meeting and events. It is a complete round-up for all your entire travel. It comes in an attractive format and easily manageable. 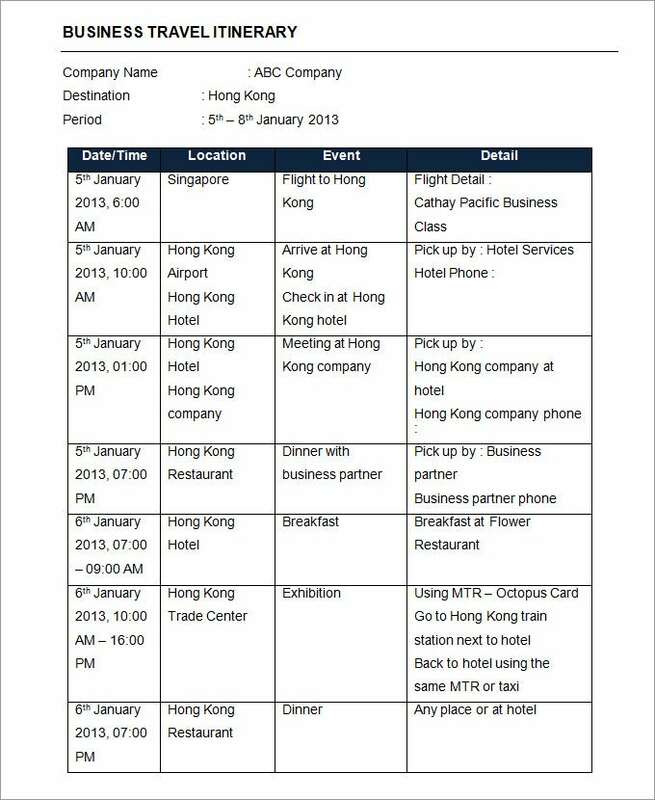 This is an MS word-based Travel Itinerary template which is simple to maintain and simpler to manage. It has 4-columns, namely, Date/Time of travel, Location, Event or Purpose of travel and Detail wherein you can mention you hotel details etc. 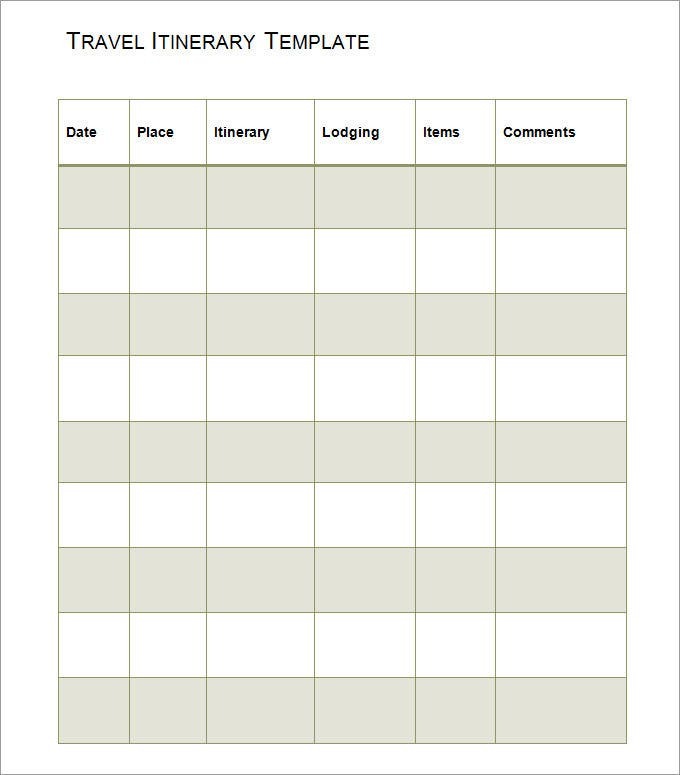 This Travel Trip Itinerary Template is ideal for the busy traveller who practically lives out of his suitcase. The traveller can just mark his travel dates in this calendar format and he is done once he just glances through it. 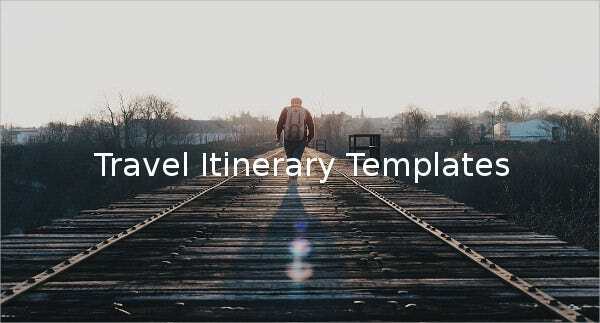 freeplannertemplates.com | This 5 Day Travel Trip Planner Template is best for family vacations or for a group of people travelling. It has the option to attach images of the destinations and a brief outline of the events and activities on the left hand side of the template. 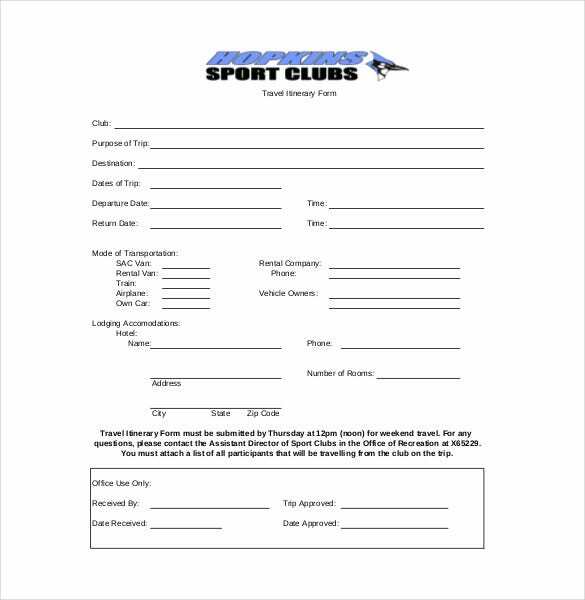 web.jhu.edu | This Travel Itinerary Form can be ideally used for sports clubs for organizing and better management of sports tours with teams. This an MS Word based Format and although it is a one-page document, it preety much takes care of all the essential details. s3-us-west-2.amazonaws.com | This travel itinerary can be used by Organizations to manage their official tours. 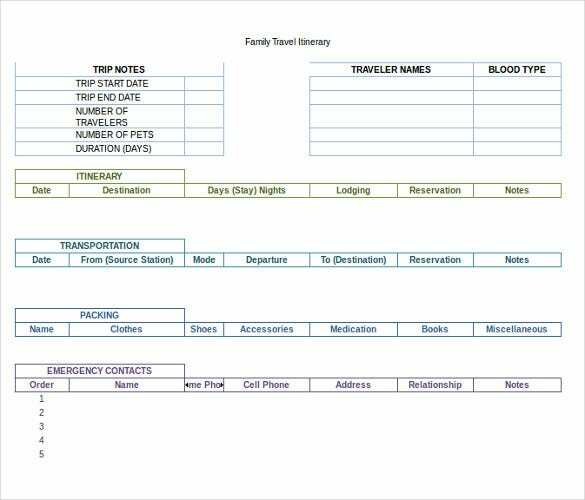 This an MS Word based Format and has 3 columns giving the time of travel, Event and the tour details. 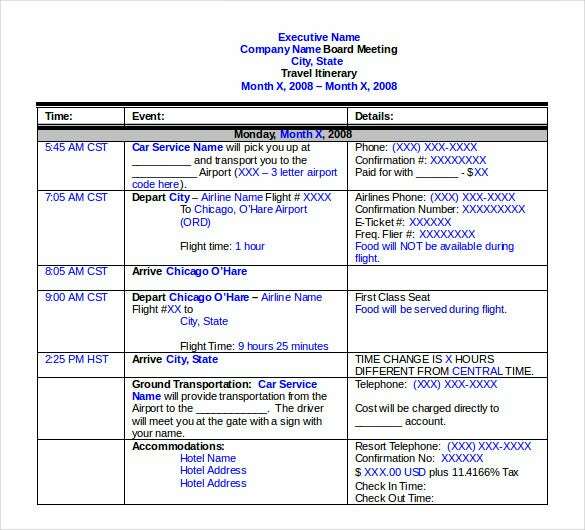 This itinerary will at a glance give you your entire travel arrangement, your pick ups and drops etc. 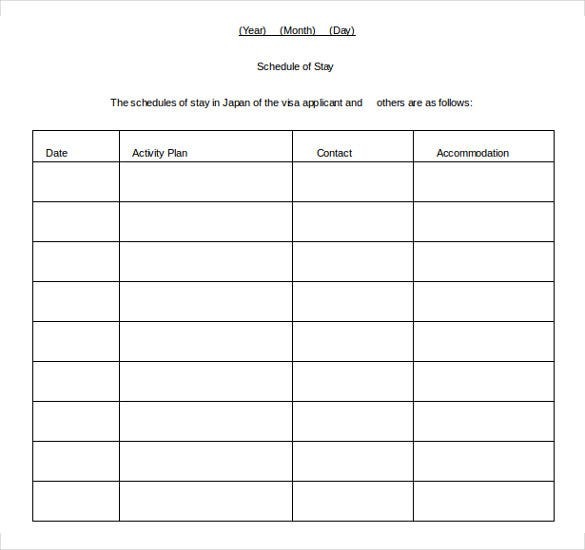 www.ph.emb-japan.go.jp | This is a schedule of Stay that can be downloaded and used by a traveller travelling overseas. This format can be used by someone who is applying for Visa and the Visa officials can quickly look through all the essential details like the travellers, lodging address, Dates of travel, Contact information etc. 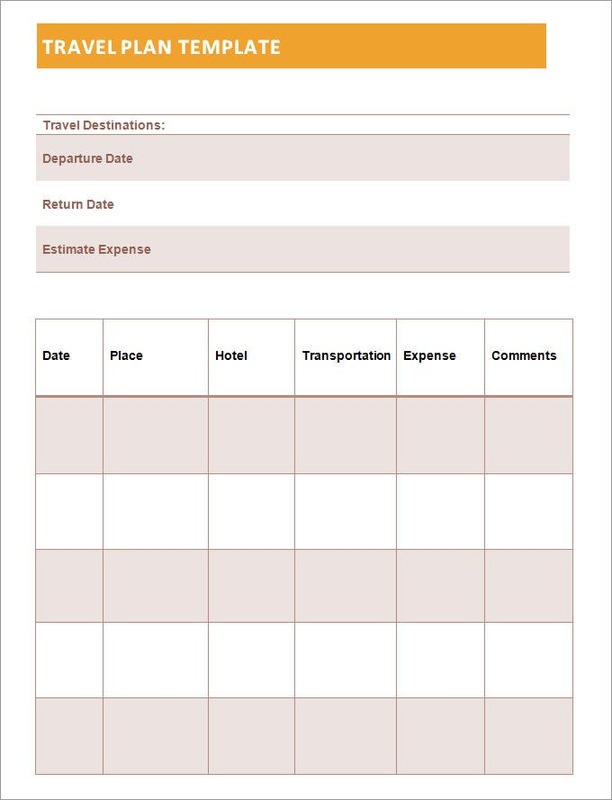 protravelblog.com | This is a downloadable Travel Itinerary Template for family vacations; giving all the details of transportation, stay, Emergency contact, Blood group of the travellers; apart from the usual travel dates and other details. With premium itinerary templates for your travel dates, you can actually savor the charms of your upcoming travel exercise upfront! Also, the best itinerary templates help you keep your travel plans under control by letting you track them easily. Here are some top class itinerary templates for your travel dates planning.